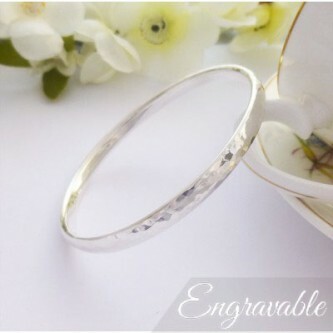 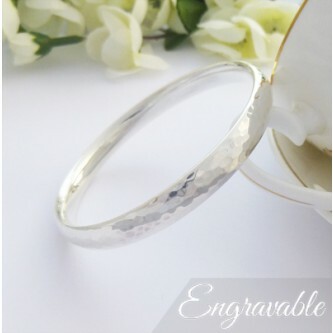 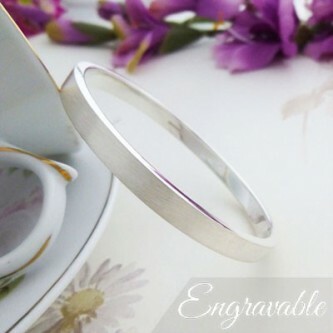 Beautiful solid silver bangle handmade in the UK. 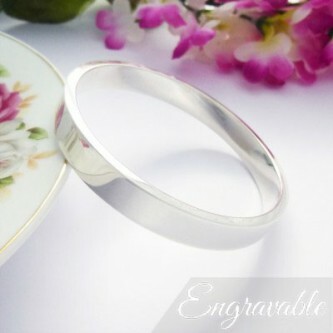 The Anna can be engraved on the interior or exterior. 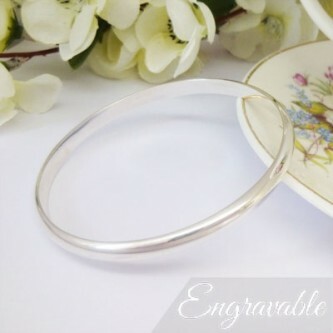 Fabulous solid, chunky bangle which has been handmade in the UK, a perfect bangle for engraving a personal message. 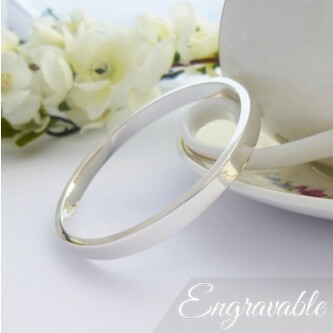 Gorgeous rectangular cross section bangle, solid silver and exclusive to Guilty, perfect for engraving a personal message. 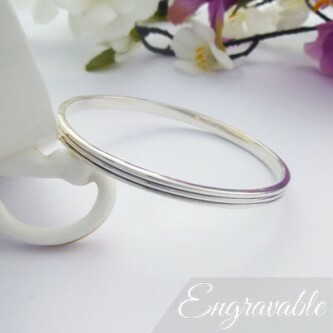 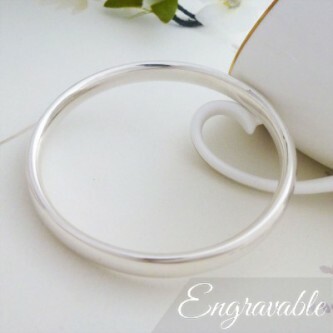 Wonderful, chunky solid sterling silver bangle which can be engraved on the flat inside making a beautiful, unique gift.